Ronald Anthony Cross, 52, of Moscow, IA, passed away Tuesday, October 31, 2017, at Trinity Hospital in Muscatine, IA. Ronald was born in Grants, NM on September 7, 1965, to Dale and Louise (Sheldon) Cross. Ron graduated from Muscatine High School in 1983. He then attended Scott Community College. He was a long-time employee at HWH, Moscow, IA. 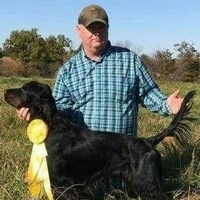 He was a member of Pheasant's Forever, NRA, Gordon Setters Kennel Club and East Central Iowa Beagle Club just to name a few. Ron was well established and highly recognized for his Bannfshire Gordon Setters. He enjoyed hunting, fishing and field trials with his Gordons. Above all, he loved his family and was known for his generous loving heart. Visitation will be on Sunday, November 5, 2017 from 3 PM to 6 PM at Bentley Funeral Home in Wilton, IA. Funeral services will be on Monday, November 6, 2017 at 10:30 AM at the funeral home. Burial will take place at the Oakdale Cemetery, Wilton, IA. Ron is survived and lovingly remembered by his mother Louise Albright of Wilton, IA, his brother Robert (Nancy) Cross of Wilton, IA, his sisters: Shavonna (Michael Sr.) Vick of Lowden, IA and Tami (Benjamin) Campbell of Raymore, MO, his nieces and nephews: Hannah Cross, Elizabeth Imhoff, Tyler Waack, Heather Cross, Karen (Sascha) Stopa-Chavez, Angela Cross and Steven, Lisa, Matthew, Marcus, Lucas and Josiah Campbell, his great nieces Novalei Ray and Allison Marie as well as numerous cousins and friends. He was preceded in death by his father Dale and step-mother June Cross and his brother Raymond Cross. A memorial has been established in Ron's name. 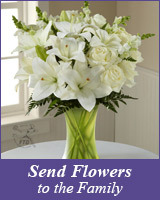 Online remembrances and condolences may be left for the family at www.bentleyfuneralhome.com. © Copyright 2014 - 19 BENTLEY FUNERAL HOME. All Rights Reserved.